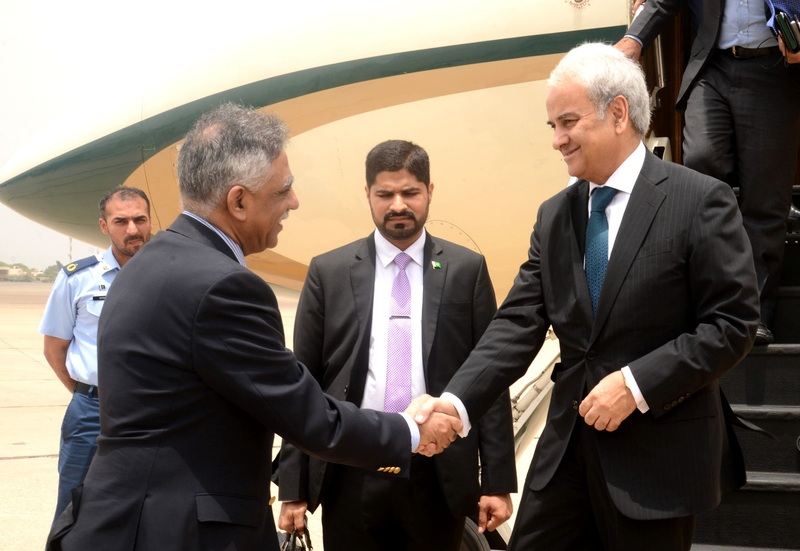 KARACHI: Caretaker Prime Minister Nasir-ul-Mulk has said that formation of new government and transfer of power to it will be ensured in accordance with the democratic norms. Speaking during a meeting with Governor Sindh Muhammad Zubair at Governor House here on Wednesday, Premier Nasir-ul-Mulk was optimistic that the upcoming general election would prove to be a milestone in the country’s history. Caretaker Chief Minister Sindh Fazal-ur-Rehman was also present in the meeting. During the meeting, the Prime Minister and the Governor discussed issues of mutual interests, especially related to holding of the general election in a free, fair and transparent manner in the province by providing equal opportunities to all the political parties, and ensuring peace and security on the polling day. They vowed that all available means would be utilized to ensure security to life and property during the election process. Special measures would be taken to maintain better environment in Karachi, which is the economic hub of the country. Governor Muhammad Zubair said the general election would define the direction of the country’s economic progress and prosperity. The people should cast their vote in the greater interest of the country and on the basis of performance of the parties, he added. PM Justice (Retd) Nasir-ul-Mulk also visited the Quaid-e-Azam’s room in the Governor House and saw various items used by founder of the Nation. He appreciated the Governor House staff for taking due care of the above items, which were great national heritage.